When Are Cats Most Trainable? 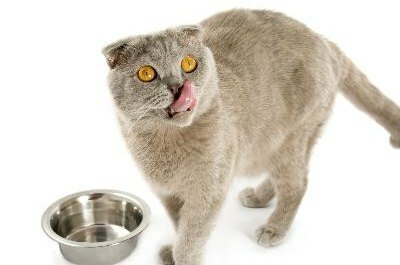 It's easier to train a hungry cat around mealtimes so you can use food as a reward. So, you've decided to train your cat? It's not going to be easy—particularly if you're used to training dogs—but it's possible. One practical approach is to harness your feline freshman's most productive and receptive hours, which are generally before feeding. Hunger breeds habits. Cats are not dogs. That may sound obvious, but many cat owners ignore this fact when they approach training. According to an article on the TV channel Animal Planet's website, "Since cats, unlike dogs, rarely do things merely to please their owners, you will need a feline-based system of positive reinforcement and possibly some form of aversion stimulus to achieve a a change in your cat's behavior." Or, as distilled by Dr. Christianne Schelling, DVM, on CatTraining.com, "Prefer accommodation over restriction." This means using positive reinforcement. Some cats have favorite toys or activities, but one potent motivator is universal in the cat world: food. A hungry cat is more receptive to training. "The best way to encourage a cat to continue a behavior is with an immediate food reward, whether a full meal or a tasty treat," notes an Animal Planet article. Begin training as a precursory ritual to food. You can, and probably should, use food and treats as rewards during training. Give your cat the rest of his food after training. 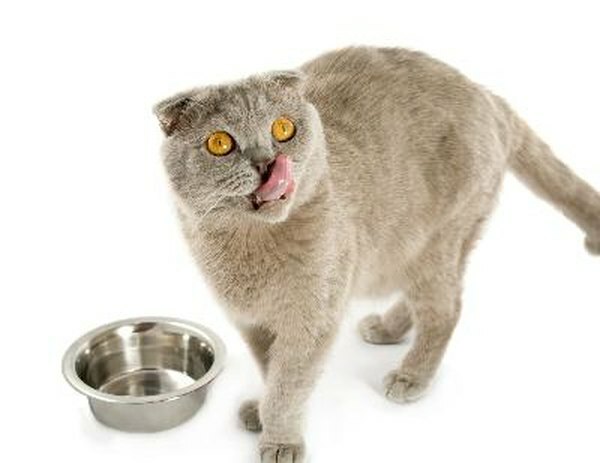 If you and your cat are particularly patient, you could try feeding him his entire meal bite by bite in conjunction with training. Free-feeding cats—giving them perpetual access to food—require a slightly different, but analogous approach. Use treats to ply them. It's helpful to relegate all treat feeding to training sessions to forge a similar mealtime association. Once you've established a training schedule, stick to it. Over time you'll probably want to steer your cat toward less calorie-intensive rewards, though. Food and treats, in trainer lingo, are called primary motivators. You should always pet and praise your cat while training him. These accompanying activities are called secondary conditioners and can eventually fill the role of primary motivators. Clickers are a popular secondary conditioner option. One of the advantages is that their sole domain is in the training world. If you rely solely on secondary conditioners like petting and praising, your cat may get mixed signals when you're just trying to pet or praise him outside of training. Transitions from food and treats to secondary rewards should be gradual. If your cat lapses in behavior, you may have to revert to primary motivators for a spell. It may be tempting to spray your cat with a water bottle or whistle to stop him from behaving badly—it get results, right?—but you shouldn't do that. Your cat's reaction creates an association between the device and stopping a behavior, but it doesn't stop him him from starting it in the first place. In a "New York Times" article, Stephen Zawistowski, science adviser for the American Society for the Prevention of Cruelty to Animals, notes that similar negative associations are responsible for the belief that cats can't be trained. "Because cats don't learn by discipline, owners have only recently begun to see them respond to training as positive reinforcement has become popular," according to the article. Karen Pryor Clickertraining: Click Your Cat to Better Behavior! Are Female Cats Jealous of Other Females? Are Cats or Dogs More Trainable? What Do I Do With My Kittens When I'm at Work? What Works for Dogs with Smelly Gas?